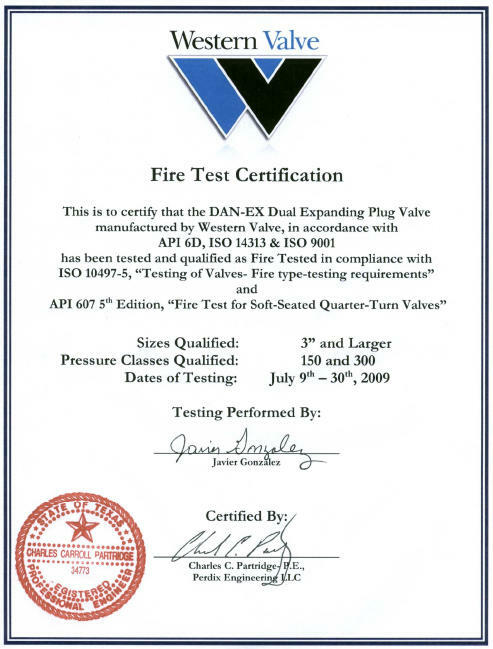 The working pressure may vary from 50 to 500 psi and the differential pressure across a closed meter block or by pass valve is only in the 10 psi range.The DAN-EX expanding plug valve has the ability to prove a DB&B seal when the body bleed valve is opened and the mechanical seating of the slips prevents any leakage across the valve if the body bleed valve is not opened. 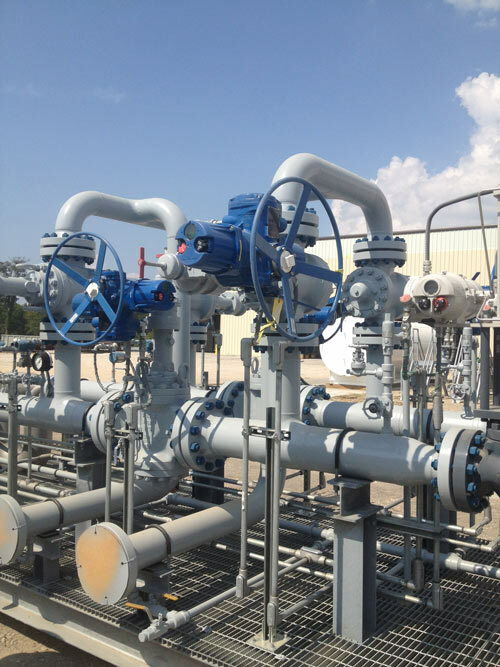 Note: Ball and slab gate valves that rely on high differential pressure to energize the seats are not normally used in this application. If a ball valve body bleed valve is opened with 100 and 90 psi across the valve the pressure energized seats will indicate the valve is sealing. If the body bleed valve is not opened the 10 psi differential across the seats will not be enough to energize the seat rings and fluid may leak across the valve. Note: The Pressure Gauge Seating Method of checking a DB&B seal is commonly used on DAN-EX valves in meter skids. If the body pressure gauge indicates 100 psi when the DAN-EX is closed, the expanding action of the resilient seals on the slips against the body seat will trap liquid at 100 psi and the final expansion of the slip resilient seals against the body will expand the volume and the pressure may drop to as much as 50 psi. If the pressure stays at 50 psi for five min the valve is sealing. If the pressure immediately returns to 100 psi it indicates a leak. If the pressure slowly rises to 100 psi on warm day it is an indication of thermal expansion of the liquid.